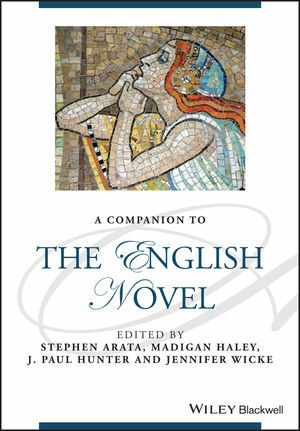 This collection of authoritative essays represents the latest scholarship on topics relating to the themes, movements, and forms of English fiction, while chronicling its development in Britain from the early 18th century to the present day. Stephen Arata is Professor of English at the University of Virginia. In addition to Fictions of Loss in the Victorian Fin de Siecle (1996) and many essays on nineteenth- and twentieth-century literature, he is a General Co-Editor of the 38-volume Collected Works of Robert Louis Stevenson 2014. Madigan Haley holds a PhD from the Department of English at the University of Virginia, where he is a Postdoctoral Preceptor. A comparatist with a special focus on twentieth- and twenty-first century Anglophone literature, he has published on the global novel in the minnesota review and in Novel: A Forum on Fiction. His current book project explores how contemporary world literature gives form to an ethical notion of the global. J. Paul Hunter is Barbara E. and Richard J. Franke Professor, Emeritus, at the University of Chicago and Professor of English, Emeritus, at the University of Virginia. His publications include Before Novels: The Cultural Contexts of Eighteenth Century English Fiction , winner of the Louis Gottschalk Prize of the American Society for Eighteenth-Century Studies. Jennifer Wicke is Professor of English at the University of Virginia and former Professor and Chair of Comparative Literature at New York University. She is the author of the forthcoming Born to Shop: Modernism, Modernity, and the Global Work of Consumption.